We help you to create original corporate events with high quality and professionalism. It combines the inspiring power of island nature with a lounge equipped with the latest technology, own kitchen available and the possibility of adding sports and leisure activities. The events are organized to measure and turnkey. For companies, team building programs are offered in or out of the water, led by a qualified ontological coach. On the premises there is wireless internet connection, and the living room has a professional audio system, projector, screen and closed circuit video. We understand the corporate needs and we are flexible to adapt to them and take care of every last detail. 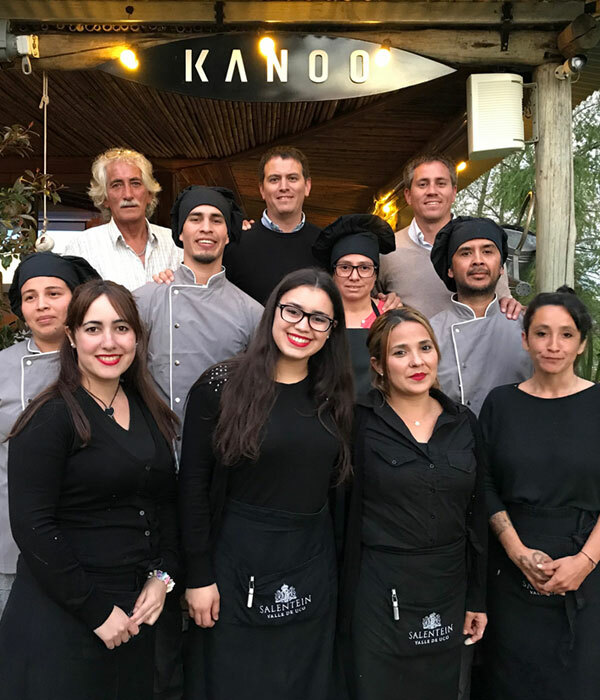 Kanoo proposes to enjoy the wild charm of the Delta both day and night, without renouncing the most demanding safety and quality standards. Stimulate your senses with wonderful Kayak experiences in our Delta. Therefore, we work so that everyone has the best experience of contact with the river. 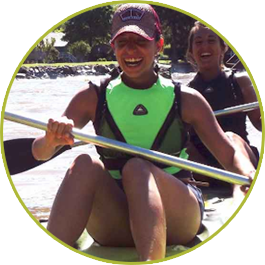 We put at disposal twenty years of professional practice in nautical sports, kayak and canoeing schools and active tourism, with programs adapted to each need. Our specialty is to solve the complex in order to enjoy the simple, like a sunset or a full moon night in the Delta. We offer from one-hour rides to expeditions and crossings of several days, with integral turnkey organization. We have access to water from the city and daycare for kayaks and boats. We are instructor trainers. We teach from basic level to professional training, and we extend international certifications. We also offer rowing courses adapted to people with different abilities, so that the sport and the river can be for everyone. 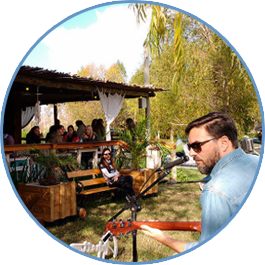 Enjoy a unique gastronomic experience in the heart of the Tigre's Delta. 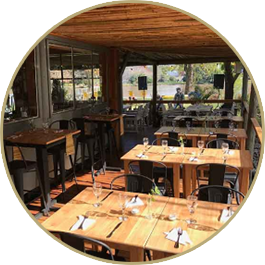 The wide gallery and lounge invite you to eat overlooking the river all year round, since both indoor and outdoor are heated. The design details create a nautical atmosphere that integrates with the natural environment. 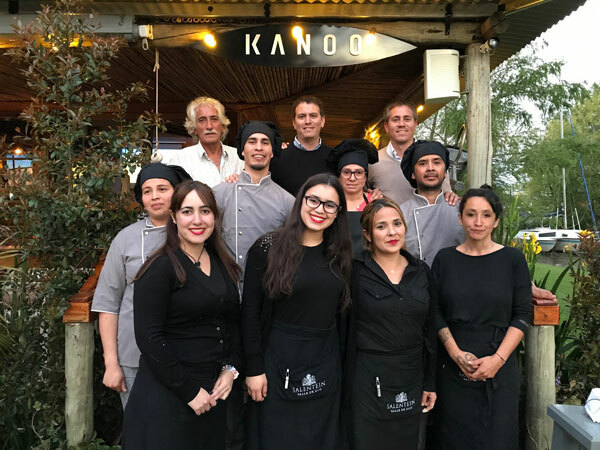 Our menu is born in connection with the nature of the island. The chef and his team prepare delicious and healthy proposals with seasonal products and vegetables from local gardens. The menu includes options designed for vegans and celiacs, beer and variety of wines. An important professional kitchen gives the necessary support to a service of excellence. 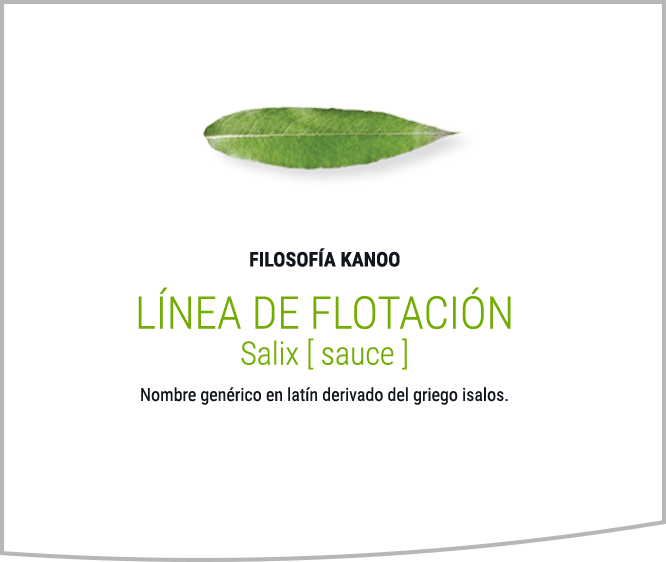 The Kanoo team, committed to sustainability, works with a waste management system that minimizes the impact, in alliance with nature. The flavors, the careful attention and the unique landscape conspire to pamper the five senses. Take a photo of your Kanoo moment and share it with everyone! Upload a photo of your moment to Instagram with the hashtag #kanoo and appeared on our site. We are a family company born and raised in the Delta, with a passion for the river and ventures with extensive expertise in active tourism, nautical, gastronomy, hospitality and corporate services. More than 20 years in high performance sport prepare us to offer maximum safety in and out of the water. We focus on generating transformative experiences, with the emphasis on human development of high values ​​in the commitment to excellence, respect for people and the natural environment. Instructor instructors in kayak (International Certification ACA level 4). Safety and rescue instructor for athletes. Advanced International Security and Rescue Certification for WAFA groups (Wilderness Advanced First Aid). Rowing Instructor Adapted in the National Team. Former Helmsman of the National Rowing Team. Guide kayak and paddle tours with extensive experience in Patagonia, Beagle Channel and Canada, Brazil and Delta del Paraná. Specialist in management and implementation of corporate team building events. Certified Ontological Professional Coach (ELAC). Former member of the National Canoe Selection (FAC). Advanced International Security and Rescue Certification for WAFA groups (Wilderness Advanced First Aid). Studies in International Trade with specializations in Canada, Mexico and the United States. Former Executive Director of Grupo Taringa !, Grupo FnBox / RecargaPay, gastronomic entrepreneur in Toronto and Founding Partner of Outastic, Digital Strategy and Marketing Consultant of international scale. We believe in the energy of the river and we seek to flow with it, between earth and sky, in connection with nature. Kanoo is synonymous with balance between passion and professionalism, adventure and commitment, innovation and experience. We know that there is no greater luxury than living nature without intermediaries.